Junior forward Sophia Shaver scored the game-winning goal with 13 minutes left in the third period to lead the top-ranked Wisconsin women’s hockey team to a 3-2 win over Minnesota State in Mankato, Minn., on Friday night. 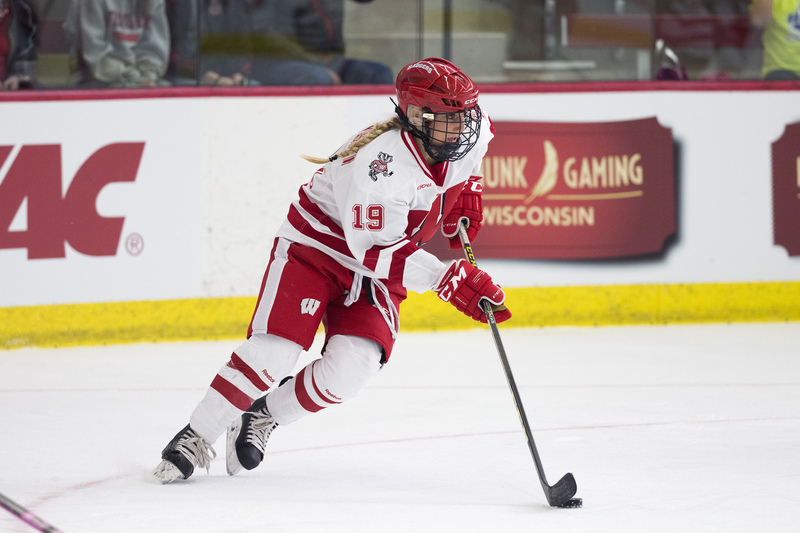 Sophomore forward Abby Roque scored the Badgers first goal just 50 seconds into the game to give Wisconsin (7-0-0, 1-0-0-0 WCHA) the early lead. The Mavericks (1-3-1, 0-1-0-0 WCHA) scored twice in the middle period to take a 2-1 lead. The Badgers scored twice in the third. Presley Norby scored her third goal of the season to tie the game at two, Shaver scored two minutes later to give the Badgers the lead and subsequent win. Wisconsin has won its last five WCHA openers dating back to the 2013-14 season. UW is now 13-5-1 in its WCHA opening games. The two teams wrap up their series at 3 p.m. Saturday at the Verizon Wireless Center.